How to get rid of Blackheads From Nose? Blackheads are small dark spots on the skin which is also known as “open comedones”. It happens when pollutants, grime, dead skin cells, sebum, and certain germs accumulate in the open pores and form a plug. Blackhead is a type of acne or initial stage of acne and they are yellow or black bumps on the face. There is so much cosmetic available in the market but they come with the harmful chemical. You can remove blackheads from nose overnight with the help of natural home remedy instead of harmful chemical. Blackheads are small and dark spots on the face and nose due to clogged hair follicles. 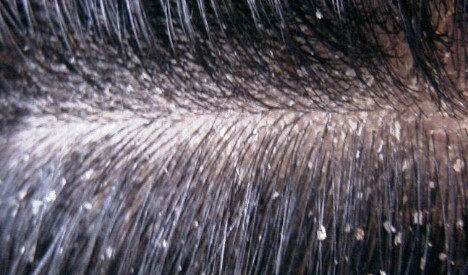 The blackheads can easily occur when the skin produces excessive oil. You are more at risk If you are not cleaning face skin properly. Mainly blackheads occur are the nose, cheeks, and sides of the nose. What Causes Blackheads on Nose, Cheeks or Face? A blackhead occurs because of an inflamed clog in a pore, or follicle. Below are the very common causes of blackheads. Execcesive use of cosmetic can cause you side effect. Try below effective home remedy or homemade blackhead remover on your face. Egg white is a good home remedy to remove blackhead overnight fast. This white egg face pack not only removes blackheads but also prevent your skin from getting them in the future. Egg contains protein which also helps to cure other skin problem. You need one egg white to make this face pack at home. First, remove egg yolk and only keep egg white in a small bowl. Wash your face completely and let it dry. Apply egg white on your face and let the first layer dry, then carefully apply egg white again for the second time and third time. It will make you feel tightening in the skin and let it dry completely. Now, gently wash your face completely and apply moisturizer. Try this homemade face pack 2-3 times in a week. Orange is a very good home remedy for blackhead remover. It contains vitamin C which helps to control oil on your skin and make it glow and fair. Take a few oranges and peel out the skin. Let the orange skin dry for 2-3 hours. Apply orange skin every day on your face to remove the blackheads from your nose. Make a paste of orange skin with water and apply on your face. Take some dry orange skin and grind them to make a fine powder. Add some water to this powder and use as a face pack. It will help to get rid of blackheads and make your skin smooth. Baking soda is a good home remedy to get rid of blackheads from the nose. It helps remove impurities from the face and make your skin soft. Make a paste of 2-3 teaspoons of baking soda and 1 teaspoon of water. Apply the paste on the skin with gentle strokes and massage gently for 3-4 minutes. Let the paste dry for a few minutes and rinse it off with warm water. Repeat the remedy twice in a week to prevent blackheads. Another good homemade remedy to get rid of blackheads from the face. Tomato helps to maintain oil balance on your face skin. Take one tomato and mashed it with your hand. Apply this tomato face pack on your face and massage it on the blackheads for two minutes. Leave it for 15 minutes and then wash your face. Repeat this remedy two times in a week. Honey and milk is a very effective home remedy to remove blackheads from the face. Milk helps to make your skin soft due to lactic acid and honey helps to remove impurities because of its antibacterial properties. Take 1 teaspoon of milk, 1 teaspoon of honey and one cotton strip. Heat the honey and milk mixture until they form a paste. Then let it cool down and apply the paste on your nose or face. Now, put a strip of cotton onto it and let dry completely for 20 minutes. Then take out the strip and wash your face with water. Toothpaste is a wonderful home remedy to remove and prevent blackheads overnight from the nose. Make sure you choose an all-white toothpaste, do not use a toothpaste with red, blue or green stripes. The White toothpaste has baking soda and Triclosan which helps to remove blackheads. Try to avoid toothpaste which has bleaching effects. Before applying toothpaste you need to test it because it could make your skin excessively dry which can become an issue. Just to check apply the toothpaste in one small area and leave it on for 15 minutes and then remove it. If your skin looks irritated and red, then don’t use toothpaste try another natural remedy for blackhead removal. But if your skin has no reaction, you can apply the paste to other spots and leave it on overnight. In the morning remove toothpaste with cold water or ice cube then use moisturizer afterward to counteract the drying effect of the toothpaste. Vaseline another useful home remedy for blackhead removal at home. To use this remedy you need Vaseline, two-three Small Washcloths, and few Tissue Papers and clear plastic or glad wrap. Take a shower or wash the blackheads affected area with water to remove the dirt from face and nose. Then apply Vaseline on the blackheads affected area. Now cover your face with plastic wrap. Keep the face wrapped with plastic wrap and apply hot washcloths for five to seven minutes on the face. Hot washcloths will help make the blackheads soft and remove them fast. After five minutes, remove the washcloths then clean your face with a soft tissue. Apply a moisturizer on your face after vaseline face pack. This natural home remedy is one the best way to cure blackheads of nose or face. Cinnamon helps to increases blood circulation and honey helps to cure blackheads due to its antibacterial property. This remedy not only helps to get rid of blackheads but also cure pimples. Take one teaspoon of honey, one teaspoon of cinnamon powder and few strips of cotton. Make a fine paste of honey and cinnamon. Apply this paste on your face to remove blackheads or a pimple. Now, put cotton wrap over it and keep it for 10 minutes. Then remove the paste and wash your face properly. Try this remedy 2-3 times in a week to cure and prevent blackheads. Oatmeal and yogurt face pack can help to remove blackheads overnight. Take two tablespoons of oats, three tablespoons of yogurt and mix them well. to make this remedy more effective you can add one or two teaspoons of lemon juice to this paste. Apply the paste on your face or only to the blackheads and leave it for 2-3 minutes. Then wash your face with cold water. Always use plain yogurt not flavored one. Green tea is a good home remedy for treating blackheads. It has antioxidants property which helps to cure skin problems. Take one teaspoon of green tea leaves and mix with water to make a paste. Apply the paste on blackheads for five-six minutes. This remedy will deep clean the oily skin and unclog the pores. After 5 minutes wash your face with lukewarm water. Blackheads on face or nose can make you look ugly and you feel afraid to go out for a meeting or date. Human skin is very delicate so we need to pay extra attention to make it smooth and healthy. Healthy skin can make you look more beautiful. If you have blackheads we recommend you to go natural and don’t use cosmetics because they can have side effects on your skin. If you have any suggestion or any remedy which we mention to forget above please let us know by commenting below. Follow above Natural Home remedy to remove blackheads from the nose. Thank you very much!this is more useful to me.